Biofuels are sources of renewable energy that come from organic waste and examples of organic waste include straw, cane, soya beans, corn, animal or vegetable fats and algae. There are two types of biofuels; first generation and second generation. The first generation of biofuels includes biofuels made from sugar, starches and vegetable oils. The second generation of biofuels includes wood diesel, algae fuel and ethanol. Biofuels are also used in biofuel pellet mills to create alternative fuel for homeowners’ and business owners’ needs. 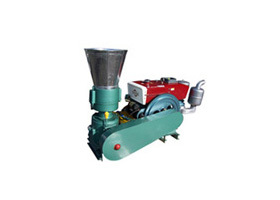 One company that offers biofuel pellet mill is GEMCO. When you get the GEMCO biofuel pellet mill, you can put organic waste such as wood shavings, wood wastes, sawdust, straw, and grass. This waste helps you create pellets as bedding for animals, as fertilizers for plants, and as animal feed for your creatures. This mill has adequate space to put the pellet mixture in. One benefit of using the GEMCO biofuel pellet mill is that you get low energy consumption and high efficiency levels when you use the pellet mill. 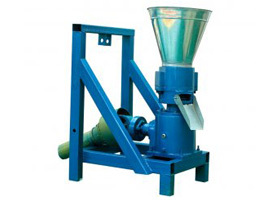 This biofuel pellet mill also produces even pellets and you do not need electricity to operate it, which makes the mill eco-friendly. Biofuel is becoming a major source of renewable resources in the world and it reduces excess wastes that pollute the environment. One way consumers can use waste responsibly is by purchasing the GEMCO biofuel pellet mill to help them reuse their wastes for the benefit of society. Most people now use GEMCO products today because of the quality, as its pellet mill comes with unique technology which, through one passage, completes the entire low-temperature drying, cooling and screening processes.